Could the Cold War come back? Think of it as the most momentous military planning on Earth right now. Who’s even paying attention, given the eternal changing of the guard at the White House, as well as the latest in tweets, sexual revelations and investigations of every sort? And yet it increasingly looks as if, thanks to current Pentagon planning, a twenty-first-century version of the Cold War — with dangerous new twists — has begun and hardly anyone has even noticed. In 2006, when the Department of Defense spelled out its future security role, it saw only one overriding mission — its “Long War” against international terrorism. 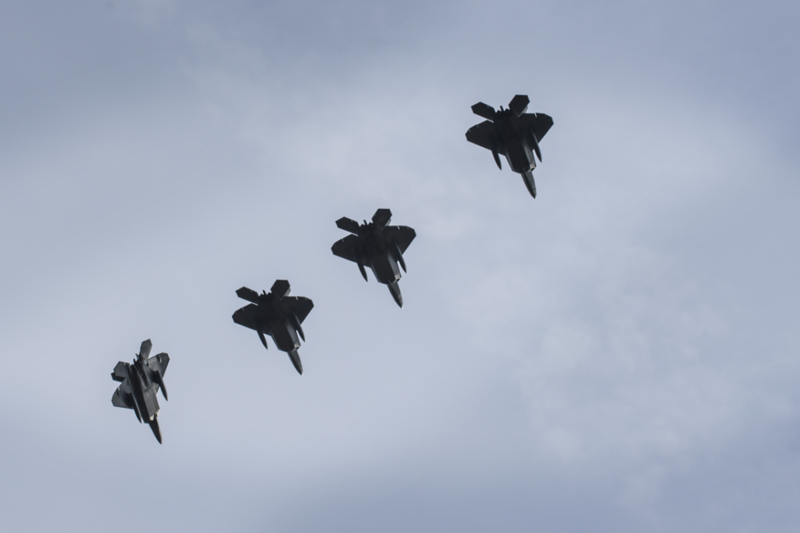 “With its allies and partners, the United States must be prepared to wage this war in many locations simultaneously and for some years to come,” the Pentagon’s Quadrennial Defense Review explained that year. Of course, just how committed Pres. Donald Trump is to the preservation of that “free and open order” remains questionable given his determination to scuttle international treaties and ignite a global trade war. Similarly, whether China and Russia truly seek to undermine the existing world order or simply make it less America-centric is a question that deserves close attention, just not today. The reason is simple enough. The screaming headline you should have seen in any paper — but haven’t — is this. The U.S. military has made up its mind about the future. It has committed itself and the nation to a three-front geopolitical struggle to resist Chinese and Russian advances in Asia, Europe and the Middle East. This renewed emphasis on China and Russia in U.S. military planning reflects the way top military officials are now reassessing the global strategic equation, a process that began long before Trump entered the White House. Although after 9/11, senior commanders fully embraced the “long war against terror” approach to the world, their enthusiasm for endless counterterror operations leading essentially nowhere in remote and sometimes strategically unimportant places began to wane in recent years as they watched China and Russia modernizing their military forces and using them to intimidate neighbors. While the long war against terror did fuel a vast, ongoing expansion of the Pentagon’s Special Operations Forces — now a secretive army of 70,000 nestled inside the larger military establishment — it provided surprisingly little purpose or real work for the military’s “heavy metal” units. The Army’s tank brigades, the Navy’s carrier battle groups, the Air Force’s bomber squadrons and so forth. Yes, the Air Force in particular has played a major supporting role in recent operations in Iraq and Syria, but the regular military has largely been sidelined there and elsewhere by lightly equipped SOF forces and drones. Planning for a “real war” against a “peer competitor” — one with forces and weaponry resembling our own — was until recently given far lower priority than the country’s never-ending conflicts across the Greater Middle East and Africa. This alarmed and even angered those in the regular military whose moment, it seems, has now finally arrived. “Today, we are emerging from a period of strategic atrophy, aware that our competitive military advantage has been eroding,” the Pentagon’s new National Defense Strategy declares. “We are facing increased global disorder, characterized by decline in the long-standing rules-based international order” — a decline officially attributed for the first time not to Al Qaeda and ISIS, but to the aggressive behavior of China and Russia. Iran and North Korea are also identified as major threats, but of a distinctly secondary nature compared to the menace posed by the two great-power competitors. Unsurprisingly enough, this shift will require not only greater spending on costly, high-tech military hardware but also a redrawing of the global strategic map to favor the regular military. During the long war on terror, geography and boundaries appeared less important, given that terrorist cells seemed capable of operating anyplace where order was breaking down. 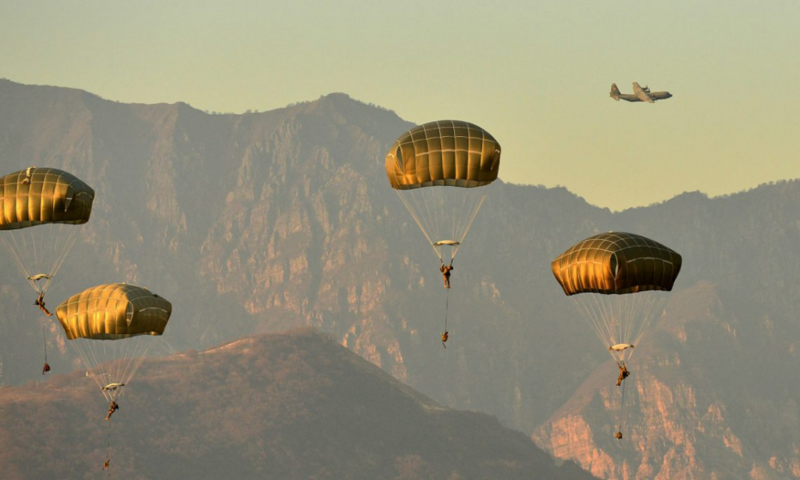 The U.S. military, convinced that it had to be equally agile, readied itself to deploy — often Special Operations forces — to remote battlefields across the planet, borders be damned. On the new geopolitical map, however, America faces well-armed adversaries with every intention of protecting their borders, so U.S. forces are now being arrayed along an updated version of an older, more familiar three-front line of confrontation. 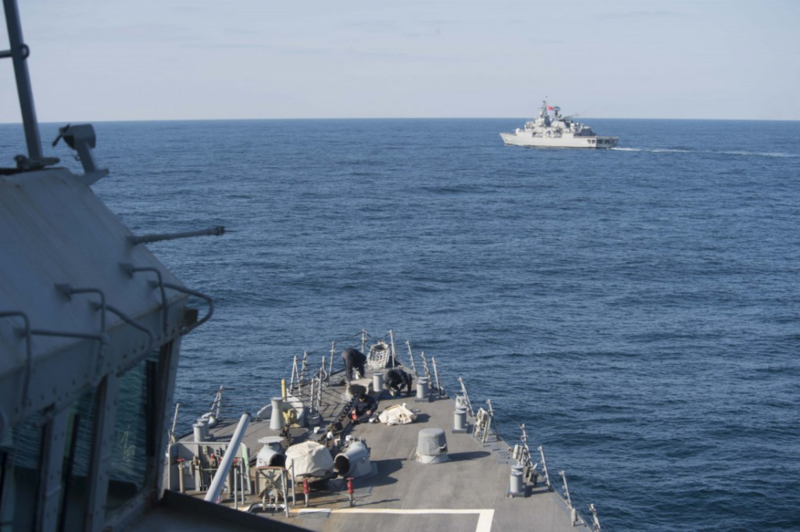 In Asia, the U.S. and its key allies — South Korea, Japan, The Philippines and Australia — are to face China across a line extending from the Korean peninsula to the waters of the East and South China Seas and the Indian Ocean. In Europe, the United States and its NATO allies will do the same for Russia on a front extending from Scandinavia and the Baltic Republics south to Romania and then east across the Black Sea to the Caucasus. Between these two theaters of contention lies the ever-turbulent Greater Middle East, with the United States and its two crucial allies there, Israel and Saudi Arabia, facing a Russian foothold in Syria and an increasingly assertive Iran, itself drawing closer to China and Russia. From the Pentagon’s perspective, this is to be the defining strategic global map for the foreseeable future. Expect most upcoming major military investments and initiatives to focus on bolstering U.S. naval, air and ground strength on its side of these lines, as well as on targeting Sino-Russian vulnerabilities across them. There’s no better way to appreciate the dynamics of this altered strategic outlook than to dip into the annual “posture statements” of the heads of the Pentagon’s “unified combatant commands,” or combined Army/Navy/Air Force/Marine Corps headquarters, covering the territories surrounding China and Russia. Pacific Command, with responsibility for all U.S. forces in Asia. 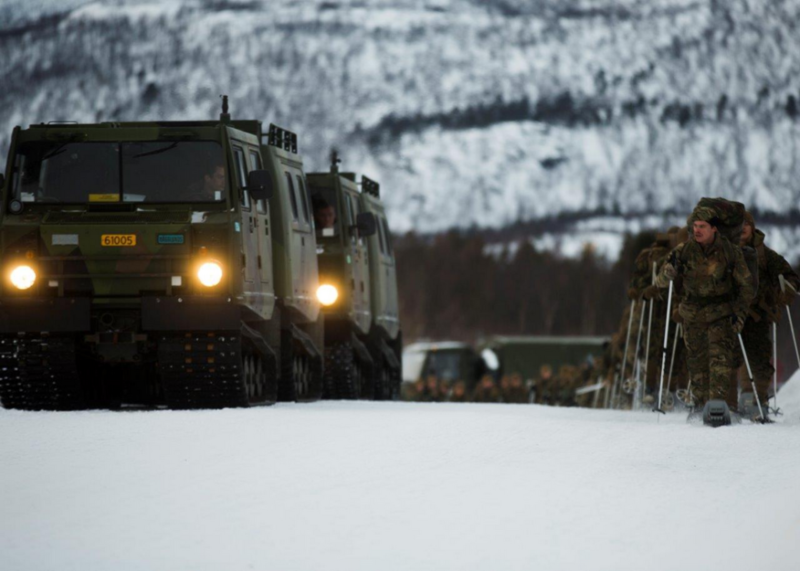 European Command, covering U.S. forces from Scandinavia to the Caucasus. And Central Command, which oversees the Middle East and Central Asia where so many of the country’s counterterror wars are still underway. The senior commanders of these meta-organizations are the most powerful U.S. officials in their “areas of responsibility,” exercising far more clout than any American ambassador stationed in the region — and often local heads of state as well. That makes their statements and the shopping lists of weaponry that invariably go with them of real significance for anyone who wants to grasp the Pentagon’s vision of America’s global military future. Commanding PACOM is Adm. Harry Harris, Jr., a long-time naval aviator. In his annual posture statement, delivered to the Senate Armed Services Committee on March 15, 2018. Harris painted a grim picture of America’s strategic position in the Asia-Pacific region. In addition to the dangers posed by a nuclear-armed North Korea, he argued, China was emerging as a formidable threat to America’s vital interests. He also hinted that he wouldn’t mind having new nuclear-armed missiles for this purpose — missiles, he suggested, that could be launched from ships and planes and so would skirt the Intermediate-Range Nuclear Forces Treaty, to which the United States is a signatory and which bans land-based intermediate-range nuclear missiles. Finally, to further strengthen the U.S. defense line in the region, Harris called for enhanced military ties with various allies and partners, including Japan, South Korea, The Philippines and Australia. PACOM’s goal, he stated, is to “maintain a network of like-minded allies and partners to cultivate principled security networks, which reinforce the free and open international order.” Ideally, he added, this network will eventually encompass India, further extending the encirclement of China. A similarly embattled future, even if populated by different actors in a different landscape, was offered by Army general Curtis Scaparrotti, commander of EUCOM, in testimony before the Senate Committee on Armed Services on March 8, 2018. For him, Russia is the other China. This, needless to say, is not the outlook we’re hearing from Trump, who has long appeared reluctant to criticize Putin or paint Russia as a full-fledged adversary. For American military and intelligence officials, however, Russia unquestionably poses the preeminent threat to U.S. security interests in Europe. It is now being spoken of in a fashion that should bring back memories of the Cold War era. 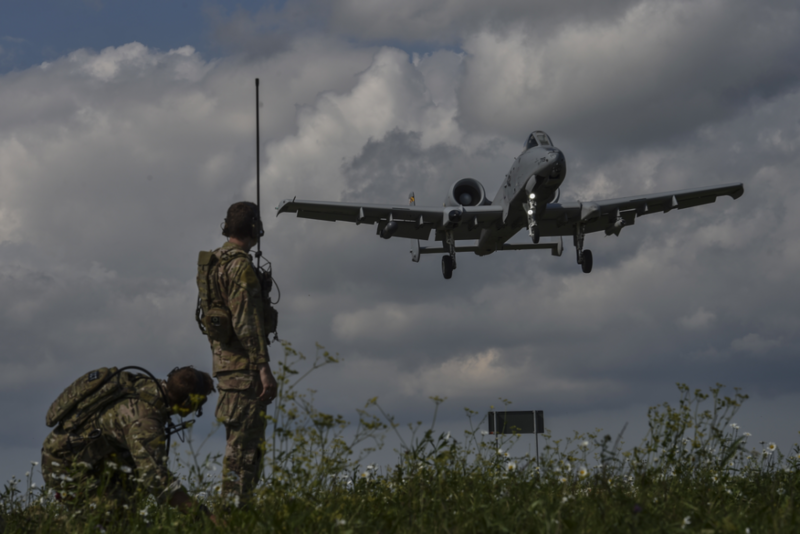 The cutting edge of EUCOM’s anti-Russian drive is the European Deterrence Initiative, a project President Obama initiated in 2014 following the Russian seizure of Crimea. Originally known as the European Reassurance Initiative, the EDI is intended to bolster U.S. and NATO forces deployed in the “front-line states” — Estonia, Latvia, Lithuania and Poland — facing Russia on NATO’s “Eastern Front.” According to the Pentagon wish list submitted in February, some $6.5 billion are to be allocated to the EDI in 2019. Most of those funds will be used to stockpile munitions in the front-line states, enhance Air Force basing infrastructure, conduct increased joint military exercises with allied forces, and rotate additional U.S.-based forces into the region. In addition, some $200 million will be devoted to a Pentagon “advise, train and equip” mission in Ukraine. Like his counterpart in the Pacific theater, Scaparrotti also turns out to have an expensive wish list of future weaponry, including advanced planes, missiles, and other high-tech weapons that, he claims, will counter modernizing Russian forces. In addition, recognizing Russia’s proficiency in cyberwarfare, he’s calling for a substantial investment in cyber technology and, like Admiral Harris, he cryptically hinted at the need for increased investment in nuclear forces of a sort that might be “usable” on a future European battlefield. Through its support of the Syrian regime of Bashar Al Assad and its efforts to gain influence with other key actors in the region, Russia, Votel claimed, is playing an increasingly conspicuous role in CENTCOM’s AOR. China is also seeking to enhance its geopolitical clout both economically and through a small but growing military presence. Of particular concern, Votel asserted, is the Chinese-managed port at Gwadar in Pakistan on the Indian Ocean and a new Chinese base in Djibouti on the Red Sea, across from Yemen and Saudi Arabia. Such facilities, he claimed, contribute to China’s “military posture and force projection” in CENTCOM’s AOR and are signals of a challenging future for the U.S. military. What that means is unclear at best, but despite Trump’s campaign talk about a U.S. withdrawal from Afghanistan, Iraq and Syria once ISIS and the Taliban are defeated, it seems increasingly clear that the U.S. military is preparing to station its forces in those (and possibly other) countries across CENTCOM’s region of responsibility indefinitely, fighting terrorism, of course, but also ensuring that there will be a permanent U.S. military presence in areas that could see intensifying geopolitical competition among the major powers. In relatively swift fashion, American military leaders have followed up their claim that the U.S. is in a new long war by sketching the outlines of a containment line that would stretch from the Korean Peninsula around Asia across the Middle East into parts of the former Soviet Union in Eastern Europe and finally to the Scandinavian countries. Under their plan, American military forces — reinforced by the armies of trusted allies — should garrison every segment of this line, a grandiose scheme to block hypothetical advances of Chinese and Russian influence that, in its global reach, should stagger the imagination. Much of future history could be shaped by such an out-size effort. Questions for the future include whether this is either a sound strategic policy or truly sustainable. Attempting to contain China and Russia in such a manner will undoubtedly provoke countermoves, some undoubtedly difficult to resist, including cyber attacks and various kinds of economic warfare. And if you imagined that a war on terror across huge swaths of the planet represented a significant global overreach for a single power, just wait. Maintaining large and heavily-equipped forces on three extended fronts will also prove exceedingly costly and will certainly conflict with domestic spending priorities and possibly provoke a divisive debate over the reinstatement of the draft. However, the real question — unasked in Washington at the moment — is. Why pursue such a policy in the first place? Are there not other ways to manage the rise of China and Russia’s provocative behavior? What appears particularly worrisome about this three-front strategy is its immense capacity for confrontation, miscalculation, escalation and finally actual war rather than simply grandiose war planning. At multiple points along this globe-spanning line — the Baltic Sea, the Black Sea, Syria, the South China Sea and the East China Sea, to name just a few — forces from the United States and China or Russia are already in significant contact, often jostling for position in a potentially hostile manner. At any moment, one of these encounters could provoke a firefight leading to unintended escalation and, in the end, possibly all-out combat. From there, almost anything could happen, even the use of nuclear weapons. Clearly, officials in Washington should be thinking hard before committing Americans to a strategy that will make this increasingly likely and could turn what is still long-war planning into an actual long war with deadly consequences.